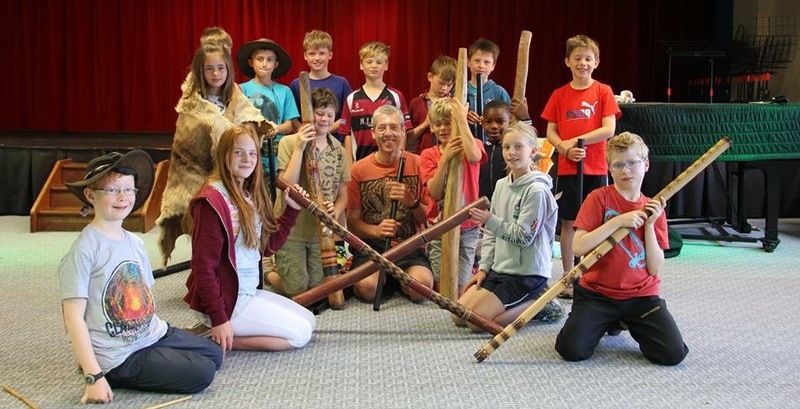 Didgeridoo Journey Workshops are Didgeridoo and Australia topic workshops for school, festivals, kids parties, office parties, youth groups, community groups, occupational therapy…and more. "I would highly recommend Chris to any school, any age group and any one wanting a brilliant time!" Prices from £200 (for up to a half day) to £300 for a whole day, plus travel. I am available for hour long demos to multi day visits. 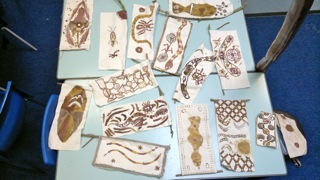 Earth-painting with paints made from the earth in your school grounds! Plenary at the end of the day for more stories! But as you know, each school/group is unique, so do get in touch and lets make a plan for you!